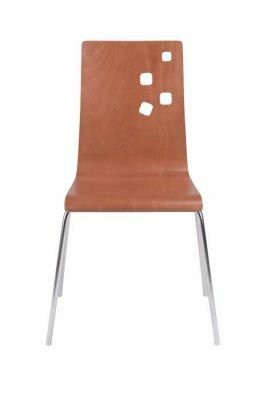 Designer styled chair with funky back rest design. Available in a choice of solid colours or wood finishes. 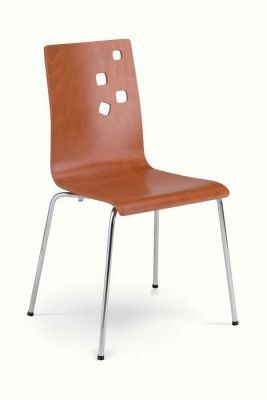 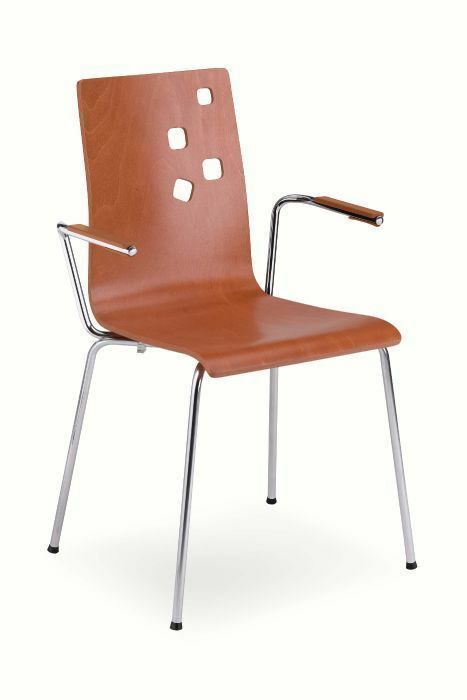 These chairs are available for a free UK mainland delivery service as standard. 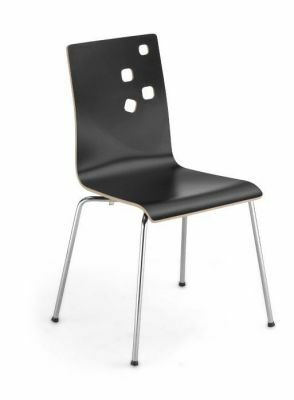 Sturdy contract manufactured bistro chair with a unique style shell. 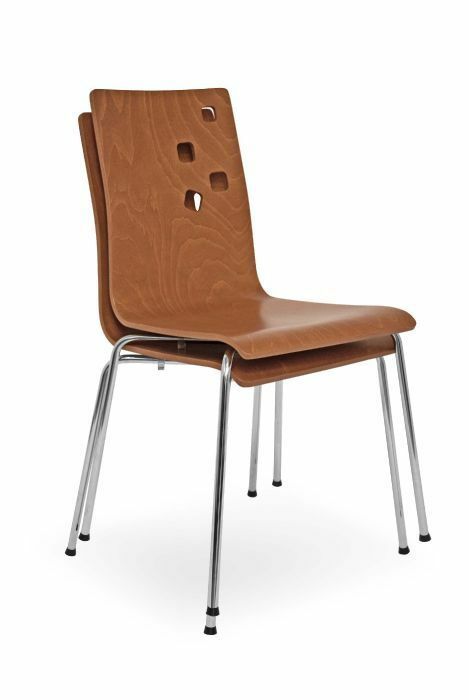 Features include slots in the back of the chair offering a modern look. 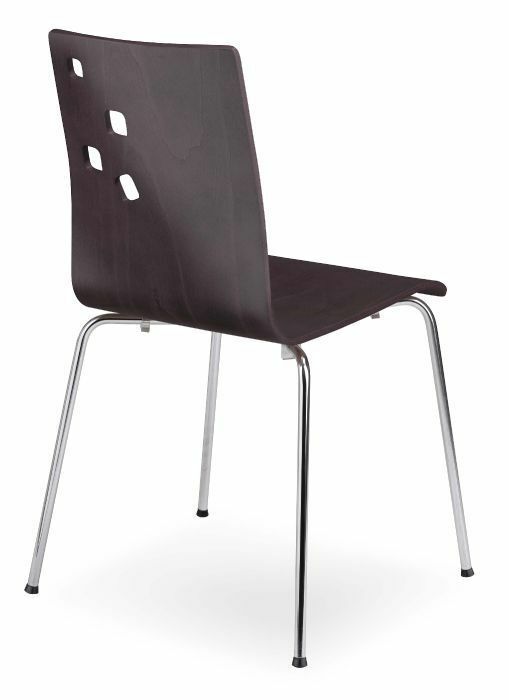 The shell sits on a resillient chrome frame with four strong tubular legs.